This post is about Easter brunch, an iconic meal, and about what you can do with the leftovers. 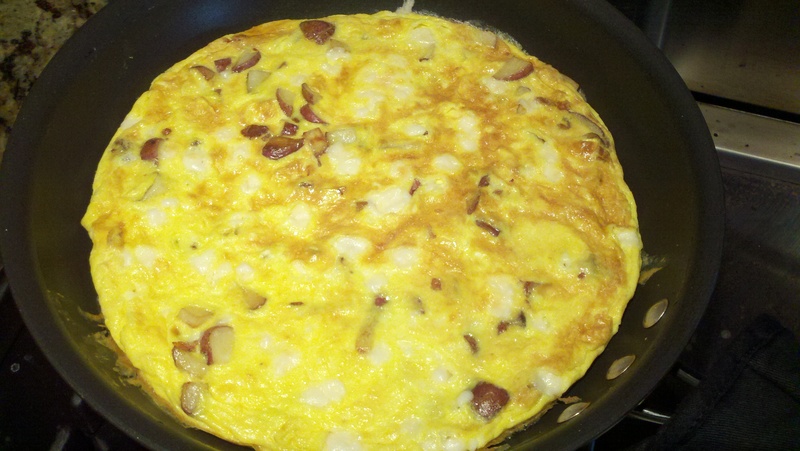 My mom made her famous frittata with bacon, potato, and Gouda cheese. 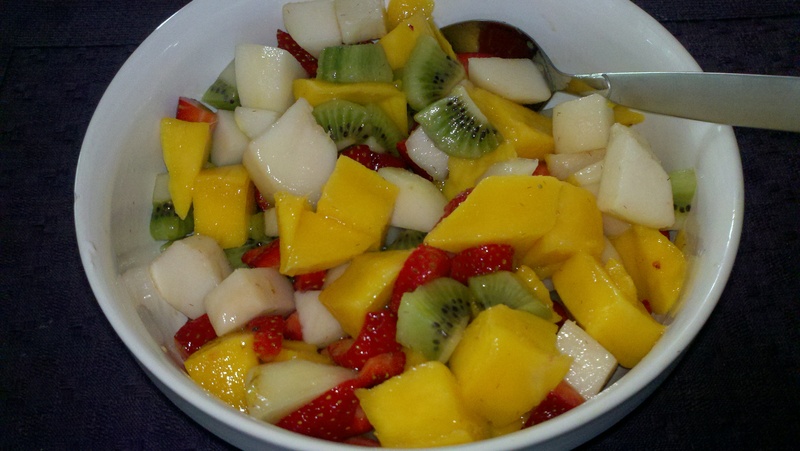 We had a bright and beautiful fruit salad along side. I was the lucky one who got the frittata leftovers which made for quick, protein-rich meals when heated up and topped with some sour cream. For dinner though, I turned the frittata into a more composed meal. I started with Bibb lettuce leaves which are thin and crispy and which can act as a vessel for other foods. 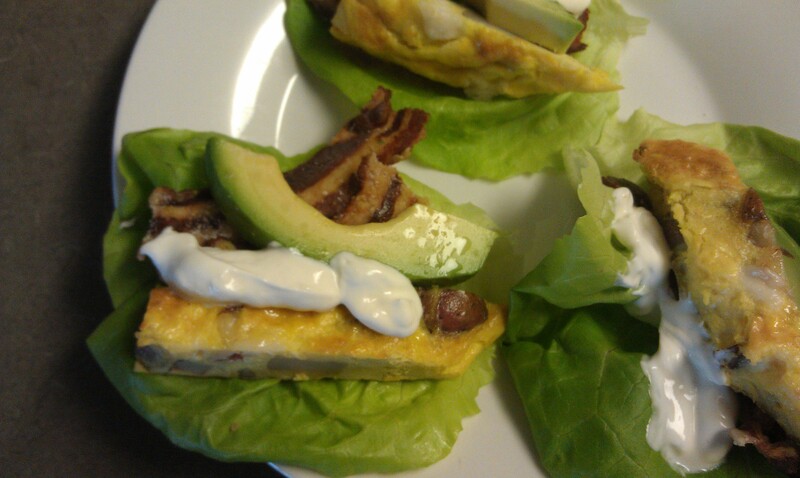 Inside, I placed strips of bacon, slices of avocado, sections of reheated frittata, and a dollop of sour cream. How’s that for leftovers? Wow – Dad would love those! Enter your email address to "follow" my blog and to receive updates about my new posts via email.